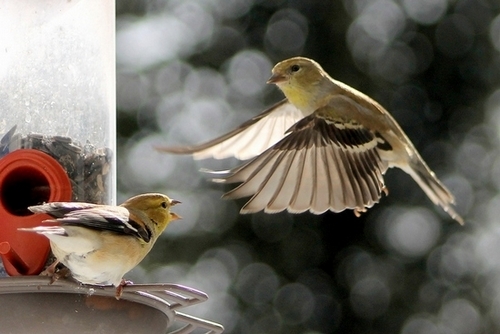 We have a flock taking turns (and fighting) at the feeder every day now. Looks like they’re getting a bit more yellow. Nicely done Anne … good “bokah” too! Thanks Peter. I was experimenting with different shutter speeds.